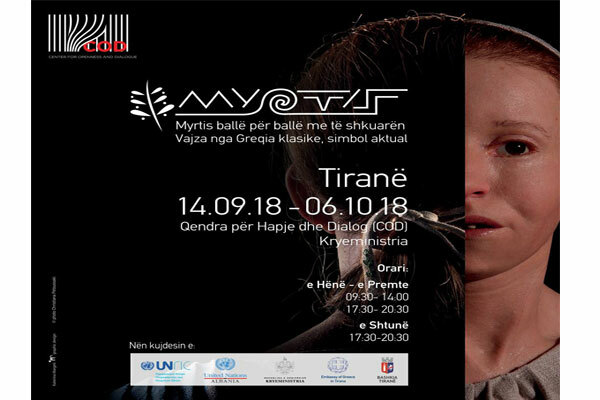 The "Myrtis: face to face" exhibition shows up the face of Myrtis rebuilt, accompanied by scriptures and images that vividly represent the world in which she lived. Myrtis was an 11-year-old girl who died tragically by the typhus epidemic that captured the ancient Athens two thousand and five hundred years ago! For archaeologists and historians, the face of this little girl has brought to life a very important aspect of Greek history and has discovered the causes of the many Athenians' loss of life. Everyone should receive the necessary treatment to enjoy a healthy and productive life.